Samsung Galaxy X Release Date, Price, Specs, Rumors, Images, News & Updates: Samsung has tightened its belt to test its new technology – foldable dual-screen which would be seen in highly waited smartphone Galaxy X. However, there is still some time for Norms to develop. The Korean company Samsung will manufacture 2,000-3,000 pieces of Galaxy X for test and this project is named ‘Project Valley’ as said by a report. Another report mentioned about the foldable dual-screen prototype of Galaxy X will come with two 5-inch AMOLED display supported by a hinge. It will allow the smartphone to be unfolded and read like a book. Samsung will use these norms to check its performance and to collect the data. The experiment also includes the commercial growth of Galaxy X. On the basis of this experiment, the production of the device will be determined. Check: Xiaomi Redmi Pro 2 Release Date. 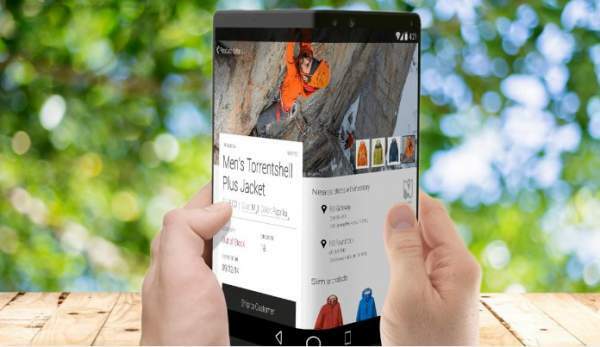 The foldable smartphone is not a new concept. It has been there since years. In fact, Samsung launched a foldable smartphone in 2011 with touch AMOLED display. The prototype did not get much attention but was promising. It lost only 6% brightness even after 100,000 folds to a particular place. It could also mean zero-bezel screen giving a full-screen experience. Last year, the company filed a patent with Korean intellectual property office for a flip phone that “can be folded or unfolded semi-automatically. The device defined in the patent has a flexible seem in the middle, was long and narrow. The device can even fold itself. Update April 15: The potential Galaxy X (SM-G888N0) prototype has been WiFi certified. Samsung Galaxy X is going after the successful launch of Galaxy S8 when it is revealed in Q3 in 2017, as said by rumours. Galaxy note 8 will be out in Q4 later this year. However, concerning a lot of testing and there is still time for bendable screens, it looks like it will be out in 2019. Along with Samsung, Apple, LG, and Microsoft have signaled regarding the similar tech in their future smartphones. So, stay tuned to TheReporterTimes.com for latest mobile phone news and all Tech updates around the world.